In the USA the Thanksgiving holiday was celebrated this week. I’m grateful for those of you who have continued to visit and offer encouragement even though I’ve stopped giving away episodes of a novel or serial. I’m thankful for you. My National Novel Writing Month (NaNoWriMo) story, The Delta Pearl, is set on a very special riverboat. It continues to roll on the river, often propelled by “three things” I’ve been given by you, or taken from my jar of random things. It’s keeping the big wheel turning. This week some of the “things” I used were from two marvelous writers who have been wonderful sources of support for me. I said I had been editing this post. I decided not to show you the snippet I first had in mind. However I still want to give a mention to the two writers who left “things” that I used this week. Teresa (Tess) Karlinski posts marvelous travelogues, allowing us to share in her adventures. Her brilliant stories are also featured in anthologies. Tess left Montreal, Harpsichord, and Soup for her three things. I’m sure you will enjoy her vivid stories and travels. Author Mary J. McCoy-Dressel has been with this blog since its very beginning. She happens to have two new releases. Give yourself a romantic treat with Christmas at Love House and Whispers of Forever. Mary’s things were Victorian, Engineering Drawing, and Peculiar. The first time I saw the Delta Pearl I was eight years old. My grandpa had died three days before. He was sick for a long time before that. I asked Moma if Grandpa had seen the riverboat. I didn’t see what was wrong with the question, but apparently something was. It made her angry and she never answered me. Later, relatives descended upon our house bearing all manner of food. There was some hugging and handshaking, but eyes were mostly dry of tears. They didn’t cry much, my family. Moma and Nana used every flat surface available as they tried to sort all the food into some kind of edible order. As they got creative about how to make room for every cousin’s best cooking, I made for the back door. Pushing the door open, I stepped onto the little porch. When the screen door banged behind me I cringed. Moma always yelled at me about that. It seemed impossible to close it without the bang. However, when she called out she didn’t mention the door. “Em! Emerald Perlezenn! You stay away from that river,” she hollered. So of course I went to the river. The gentle sounds of the water always helped me come to terms with things I didn’t understand. The river comforted me. At that moment, I really needed the river. Besides, I thought, I might finally see the riverboat. So I trotted down narrow paths Nana called pig trails. Rounding curves, dodging brambles and tree roots, I eventually got to the riverbank. The riverboat, the Delta Pearl, was a legend along that part of the river. Few people had seen her. As for the ones who claimed they had seen the riverboat, everybody seemed pretty sure they were lying. Some said the riverboat was haunted. Others claimed it was the river’s version of the Lost Dutchman, cruising the river for eternity. Most had it that if you saw the Delta Pearl you were marked for death. I walked along the very edge of the bank. Now and then my foot slipped, because I was so close to the edge. I backed away to clean the mud from my shoe. The fluttering sound of a bird taking flight came to my ears. An odd clicking sound caused me to look up into the trees. Pine needles showered down and I covered my eyes. I spotted something brass colored as it streaked across the blue sky. That seemed like a strange color for a bird. It looked almost like metal, but that was too impossible, even for my active imagination. My eyes followed the bird as it flew along the river. As I sat there I listened to the music of the water as it lapped against the shore. It gave me a dreamy feeling. I gazed vaguely down the path the river had carved eons before. Sunlight glittered the surface of the water. I imagined the tiny reflections were diamonds and tried to count them. Squinting at the brilliance, I thought of what it would be like to be a grand lady with strands of diamonds at my throat and in my hair. I thought of her suitors asking for a dance. So I stood and turned and turned, dreaming of the dance, while I spun around and around. I staggered to a stop, enjoying the sensation of the dizzy world seeming to sway around me. Stumbling, I held my arms out for balance as I faced the river. That’s when I saw the Delta Pearl. A silver thread glittered as the morning sun streamed onto the deck. At the end of the filament was a purple clockwork spider. It skittered across the wooden floor before vanishing behind a crate. In the arms of a truly expert dancer, I twirled and spun until the world whirled dizzily with me. My partner’s impeccable sense of balance never faltered. We danced high above the river, on the hurricane deck. Dozens of fluffy white clouds blurred into one as he twirled me rapidly around and around. Like diamonds, I thought as sunlight reflected brightly on the strands of triangular waxed flags strung above the deck. The sound they made as they fluttered in the breeze reminded me of startled birds taking flight. It took my mind to the day, years before, when I first saw the Delta Pearl. I missed a step. The Dealer stopped our dance. He looked at me with what passed for concern on his less than mobile features. He blinked before speaking in his quasi French accent. “Émeraude, are you well? Do you tire? Perhaps the sun is too much?” the Dealer asked. One would never realize it just by looking at him, but the Dealer was compassionate and nurturing. Sometimes I felt he was too consoling, though that quality had benefits in his occupation. I had to admit that I seemed to receive more of his nurturing behavior than did the rest of the crew. Of course he had a name besides the Dealer. He called himself Jaspe. To my ears he pronounced his name ZASH-pah. However, more often than not he was simply referred to as the Dealer. “Ah, but cher, I am named for a rock — jasper,” he reminded me, using the English pronunciation to refer to the semiprecious gem. “I claim no more talent than the rock whose name I bear,” he replied, self-deprecating as always. “Besides, I have had so very long to perfect the steps. You are much improved,” he complimented me with a graceful, sweeping bow. I couldn’t help watching his graceful movements. I wanted to ask just how long he had been perfecting his dancing, how old he was. His name, Jaspe was French for jasper, and his accent clearly bespoke New Orleans. Yet, I knew he discussed neither his age nor his origins. I was sure the Captain knew from where Jaspe hailed, but our skipper was not inclined to gossip. However, the unspeakable, nagging question to which I most wanted an answer about the Dealer was not the number of his years. Rather I wanted to know whether or not he was in fact a man at all. The Delta Pearl is sedately rolling on the river. It might never be a speedboat, but at least the big wheel is turning. Mega hugs! Hello everyone. Thank you very much for visiting. I know you are not used to seeing daily posts from me. However, I wanted to show my gratitude to the people who have been so generous in supporting me this week. Yesterday, it was Chris, the Story Reading Ape. Today it is Sally. I promise to go back to my usual schedule at midnight Saturday (Eastern). When the multi-talented Sally G. Cronin asked for holiday short stories to post at her wonderful blog, Smorgasboard, Variety Is the Spice of Life, I asked her if she’d use a story that had already been posted. She graciously agreed to use one of the stories from my “Atonement universe” called Adelle’s Teapot. It’s not really a holiday story, but the setting is at the right time of year. As you can see, my odd little imaginary town has its quirks. (And when I finally finish Atonement in Bloom, you will meet Beira the Crone.) 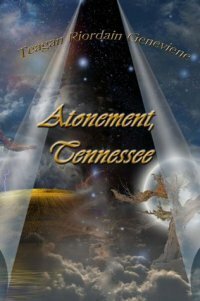 I hope you enjoyed this visit to Atonement, Tennessee. Be sure to visit Sally too. I’m grateful for her ever generous support. Thanks to Chris, the Story Reading Ape for hosting me at his tree-house on the third Thursday of each month. When I did motivational messages as part of my “real” job, people always asked how I could possibly write something uplifting, week after week. I answered with the truth. I need encouragement at least as much as anyone else. So in writing the messages, I was also motivating myself. That continued to be true after the messages were no longer a part of my job and I started writing them at LinkedIn (for 2 years). Now I’m honored that you are sharing them here at the tree-house. Thank you again, Chris. Wishing everyone a thriving Thursday. Mega hugs! I love this old photo and the vivid progression it shows. It really does speak a thousand words. The pair of women on the third row look like sisters. I can imagine they were arguing before they got on the roller coaster. Move up to the second row and those ladies seem to be having a pretty darned good time. But those two on the front row? Have you ever seen such genuine fun painted on a couple of faces? When you woke up this morning and dragged yourself out of bed, you bought the ticket (so to speak). There will be ups and downs and hairpin turns. Now the choice is up to you. Will you live on the front row — or on the third row? You can read my serial stories and learn about my novels at my blog, Teagan’s Books. Click on over and say hello. Help! I’ve slipped into the Twilight Zone! I don’t talk work, religion, or politics here. So even though I’ve brought it up, let’s not comment about it. I’m just giving you my state of mind. But I don’t think I have to talk about it for you to understand why I have a surreal feeling that I can’t shake off… one that is overwhelming each time I’ve looked at the television or read the news since the morning of November 9th. Where do we go, now that we’ve gone too far? My word count is still pathetic, but the only place I could go was farther into my NaNoWriMo novel, The Delta Pearl. It occurred to me that a riverboat needed passengers. So I now have crew and passengers — along with a couple of other things that live on the boat. That part was fun. My character matrix has grown and gotten quite complex with all sorts of tabs for different things I’m prepared to track or use for my own reference. Do you see that across the bottom of the picture? Each of those is a separate “worksheet” with all sorts of information. However, this story is still full-on pantser. I have no idea where I’m going. Yet the voyage is becoming more interesting. The other night I even dreamed I was aboard The Delta Pearl. I don’t remember the dream, except that the water was rough, just like the scene I wrote that evening. It may have had something to do with a bad food allergy reaction that had my stomach roiling right along with the fictional river… But when I awoke, I was laying across the bed, rather than vertically! That was strange. I’ve never done that before… But then we are living in the Twilight Zone after all. Sometimes it’s easier to see where a story should go, if you can put actual faces on the characters. I haven’t actively tried to do that with “Pearl” yet. Even so, a couple have come to me. Suddenly I saw one of the Doctor Who companions, Jenna Coleman as Émeraude. A taller version of Louis Jourdan as he was in Gigi could be The Dealer, Jaspe (ZASH-pah). That came to me… though I’m not sure. Maybe. So I’ve gotten that far with the story. Me, here in the Twilight Zone, imagining different worlds, and pantsering a novel. Trying not to worry about where we’ll all go now that we’ve gone too far. Okay… so I couldn’t pull the ending together for this post… But maybe all the endings are catawampus here… in the Twilight Zone. Hello, everyone. I’m here with a quick update to thank you all for your support. Special thanks for leaving three things to keep me writing my new, and totally “pantser” novel, The Delta Pearl. My word count is not up to snuff, but this year that is not the point. National Novel Writing Month is proving to be the “monumental distraction” that I wanted. However, with 4,000 words into the “story” I still have no idea what the story is! Now, that’s definitely flying (writing) by the seat of your pants! Using gemstone names as a thread throughout the story was one of the few elements I had actually planned. However, I didn’t know which jewel I should associate with my protagonist (regardless of what I wanted). Then a character I called The Dealer came to my imagination. He has a pseudo French accent and is presumably from New Orleans. I imagined his voice as he named my heroine… Émeraude. Yes, that means emerald (as does Esmeralda), and some people call her Em (remind you of Emlyn? )… Then — it registered that my late sister’s birthstone was the emerald. So read into all that whatever you want… NaNoWriMo does not allow for luxuries like agonizing over character names. I gave up trying to figure it (or myself) out and went ahead with the name I wanted, Émeraude. Thank you for the evocative “things” you readers left last weekend. I’ve already used many of them. I’m grateful for them, so I want to make some shout-outs today. Nandini, my new NaNoWriMo writing buddy, sent White Umbrella, Bridge, Tea. Her umbrella caused me to think of a quirk for that important character called the Dealer. I think his name will be Jaspe, though I’m not certain. (French for Jasper… do you see the gemstone theme for names forming?) Anyway he often expresses concern for my heroine’s complexion in the sun. Cheryl, my purple flipflop loving blogger-chef left several things that included Cameo and White Picket Fence. That cameo might be a recurring “artifact” in the story. I gave it to my heroine and to a mysterious woman in an old portrait. I hope you’ll visit these lovely blogs. Now I’m off to write more for WriMo.